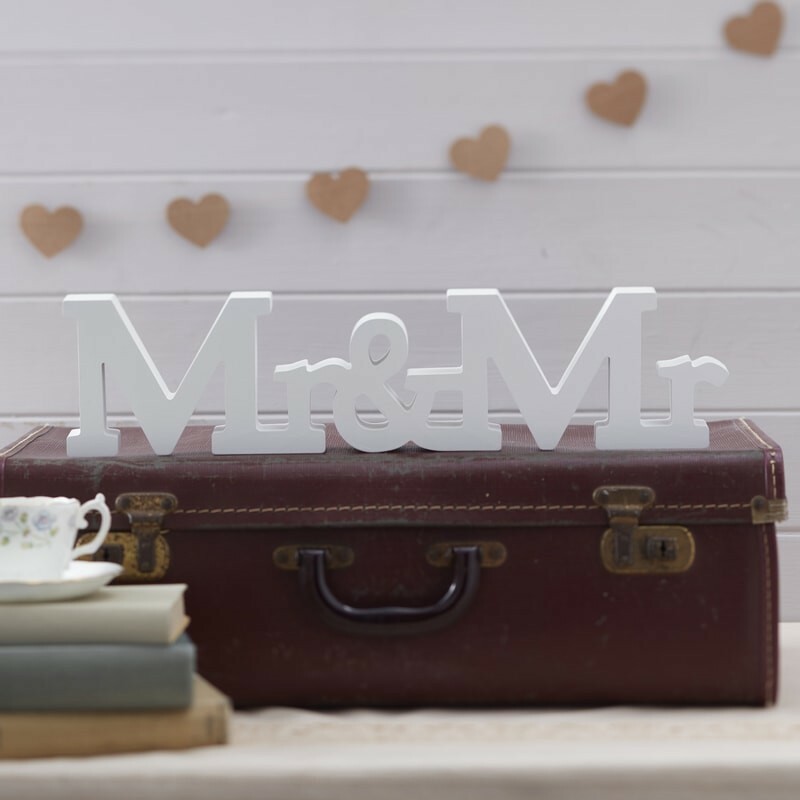 Our gorgeous Mr & Mr wooden wedding sign is great to use as a wedding decoration on your special day! Use on your wedding day to bring a vintage feel to your venue! This stunning sign would look amazing on the main table on at the reception or even at the bar! Alternatively the vintage inspired sign would be a gorgeous gift for the happy couple and can be placed in the home. Sign measures: 41cm (W) x 10cm (H) x 3cm (D).